I believe you need to buy through a 360 or something. Only for BC games. Thanks op! I've nabbed one but I think there's only one copy left! This is a terrible deal frankly. I picked this up at launch, the arm is basically a bionic baby arm due to being scaled down. The JPN version of the game came with a full-scale replica. We were royally shafted on that one. Unless you're a die-hard - avoid. Yeah, I've got this. Diddy little arm. Like it belongs to Big Boss' Baby or something. Japan got the full scale badass one. Now that's rare and ever sought after. Very true. Let’s just hope Death Stranding lives up to its expectations. 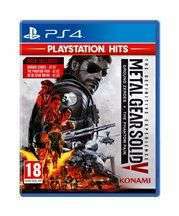 Never miss a 'Metal Gear Solid' deal again! It's free with Xbox Live Gold from March 16th - March 31st. Very nice. Really enjoyed this on the 360 but never played the DLC. So with it being GWG tomorrow, good excuse to play it again. You can only get Games with Gold titles if your current Xbox Live subscription lasts a month or more. I’m not sure if you can achieve this with multiple free trials, think it has to be at least a month in one go (not remaining time, but overall). I didn't think the free trial allowed you to redeem the GWG games? 2.99GBP for such a game. I think it's the cheapest I have seen it. 3% off code makes it cheaper. 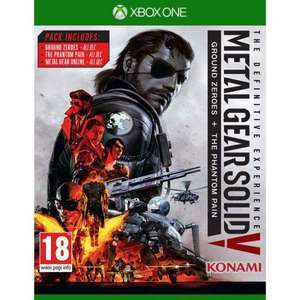 Its actually been cheaper before https://www.hotukdeals.com/deals/metal-gear-solid-v-5-the-phantom-pain-steam-pc-249-cdkeys-3154989 :) but for now this is a cracking price too - heat added. Does anyone know where the definitive version with ground zeros is cheapest? I thought it had only just been added. I saw a post about it on facebook. Ordered, thanks. Is it better to play the prologue first? 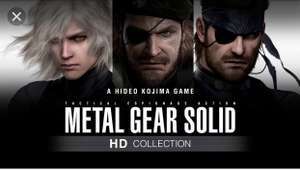 I don't know much about MGS V.
Ordered but have been put on backorder so cannot redeem yet. That shouldn't happen, when you activate the key and own both games it will add the DLC to your account + give you a giftable copy of PP to your Steam library (which can be traded after 30 days). I know this because I was the one to setup the store notice after owning both games but no DLC ;) Unless something changed recently but I doubt that. When I watch chapter 51 on YouTube and see how epic the last battle was meant to be I shed a tear. Entirely agree. Literally should be a crime for this masterpiece to not have the ending it deserves. One of the greatest crimes in video game history was Konami not allowing Kojima to finish this game properly. I started playing it again yesterday. Genuinely love this game, Its a master piece. However the story does end a bit premature, its such a shame Hideo went. This is a lot of game for your money in this pack! I played this more than any other game last year. dumbest thing i've ever read. not exaggerating either. Hah, no. 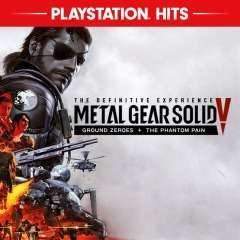 The definitive experience is just the Ground Zeroes + MGS V + some DLC skins and weapons. Good deal for those who don't do humble monthly. I have waited 4 years for this game to have a decent price. I am still waiting! Joking. Amazing deal. Heat from me. Wow, that's a lot of game for the price. I loved it personally, the overall game mechanics are second to none and I think I'm one of the few who dug the story and listened to all the cassettes.